A happy,safe,and meaningful summer camp is waiting for you! On the afternoon of 19th,July, the outdoor activity of the Chinese language and culture summer camp in Mandarin Garden was held as scheduled.six kids from Thailand and America,with Teacher Chen and George went on a one-day trip to the Shanghai Museum. Shanghai museum is a museum of ancient Chinese art, situated on the People's Square in the Huangpu District of Shanghai, China,it has a collection of over 120,000 pieces, including bronze, ceramics, calligraphy, paintings, seals, sculptures. On the way to the museum,the kids want to take the bus so as to feel the local Chinese life,and they also learned to recognize the coins and know their types. When arriving at the museum,kids were amazed by the bronzes from the ancient China at the first sight.They put fingers on the glass of the exhibition booth,and their eyes showed the surprise,and they also tried to read names of the bronzes after teacher. Che,a cute boy from Thailand,when hearing the bronzes have the history of over 2000 years, ‘wah-oh’ sound came out of his mouth, ‘ I am only 7 years old’,he said.People around him were amused by his astonished face. 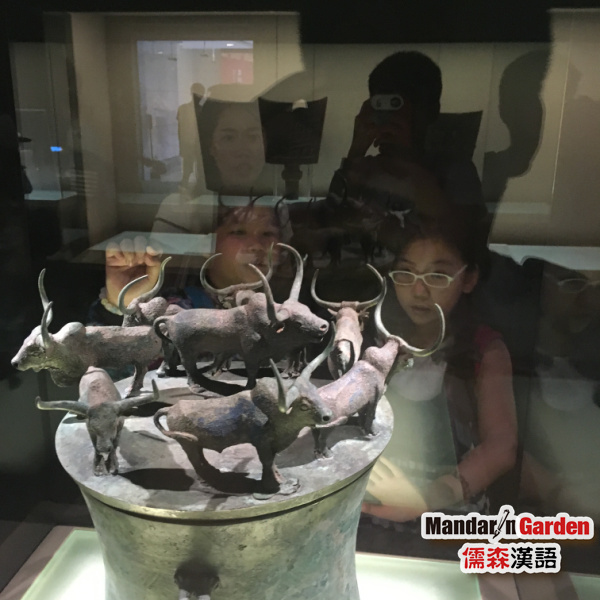 When seeing another piece of bronze-the ancient cauldron with eight sheep,kids counted the number of sheep in Chinese from one to eight,and teacher Chen always taught the Chinese knowledge through the lively activities. Upon coming into the porcelain exhibition gallery,kids showed the strong interest into making the porcelain,and they took the teacher’s hand and asked about all kinds of porcelain’s names.in the gallery,kids also had the close observation of the equipment that used to make the porcelain in the ancient China and knew the basic process of porcelain-making with teacher’s explanation. At the time of 4 p.m,it had been three hours before the start of the tour,but kids were still full of energy,they kept calling the teacher’s name and raised quantities of questions during the visit of ancient coins,jade article and ethical arts galleries.With introducing the displays,they said some difficult Chinese words from time to time,which made teachers very surprised. After visiting all the eleven galleries,kids bought some souvenirs on their own.A safe and meaningful tour to the museum ended up with the happy scene. 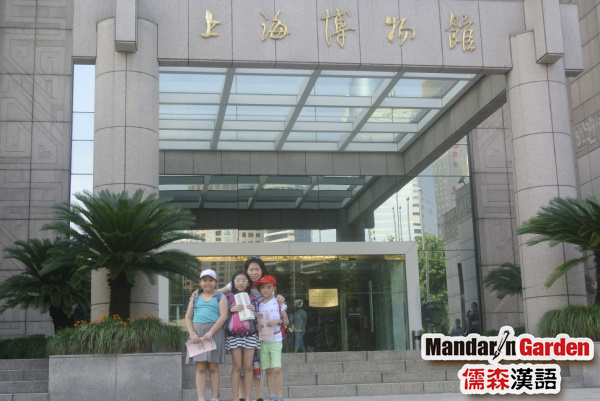 The summer camp that held by the Mandarin Garden not only have thorough Chinese language lessons,but also interesting outdoor activities.while going on the tour,campers will enlarge their knowledge of Chinese language and culture and broaden the horizon.Going on a wonderful and meaningful summer tour with Mandarin Garden will be the best choose that you have ever made for your children. Next: Wonder in the Chinese wisdom with Mandarin Garden in summer vocation!